Customer loves our wide range of 100% cotton gift bags suitable for all ages and every occasion. 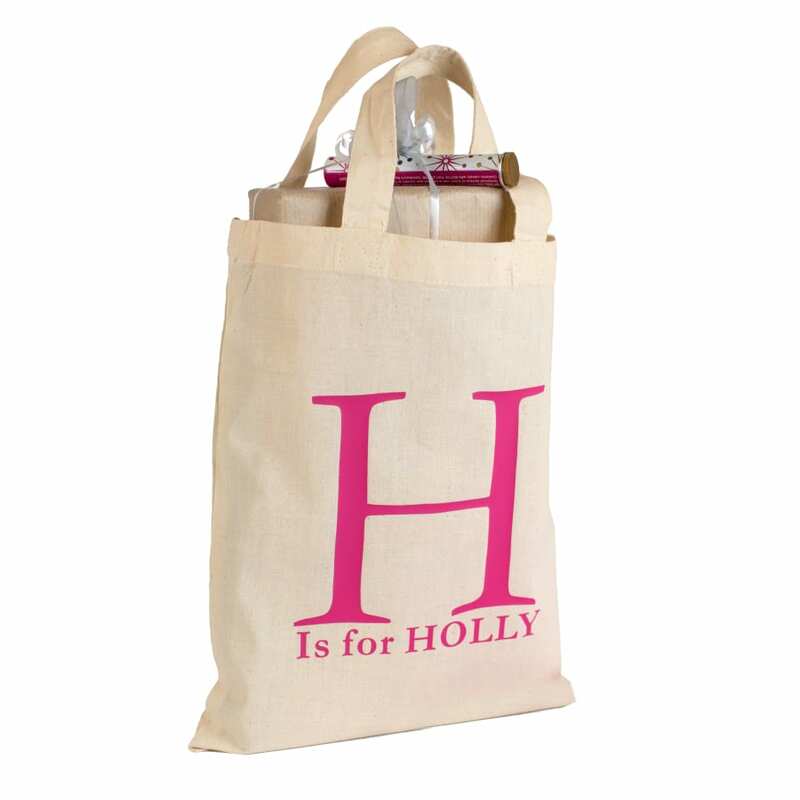 A personalised gift bag makes a quirky addition to your gift giving. Say goodbye to paper gift bags which inevtiabley end up being thrown away. And of course the bag can be used long after the event has passed. Makes a really useful storage bag for children's books and toys. Because the bag is not too large children can always carry the bag and it contents. Alternatively why not, makes a brilliant activity bag. All you have to do is add a few books, crayons etc and children can keep themselves amused on long journeys. As the design is heat pressed on to the bag, please do not iron directly over the design. Bag is machine washable .